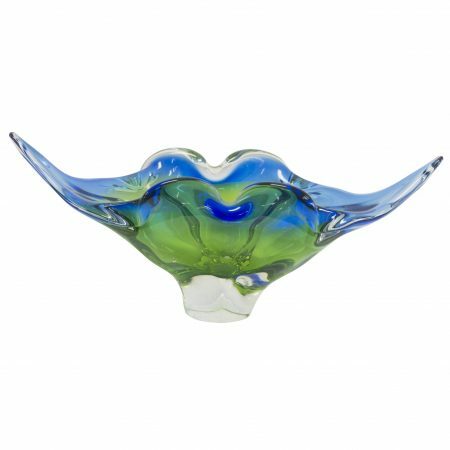 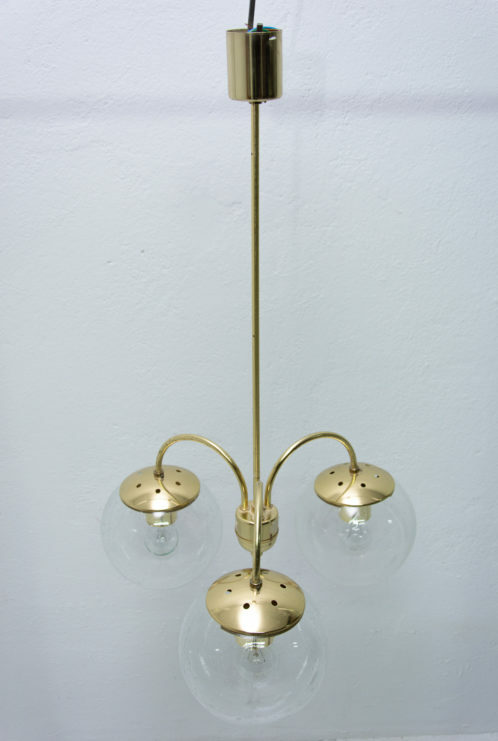 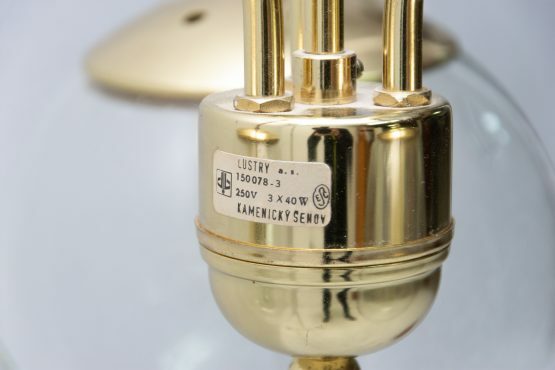 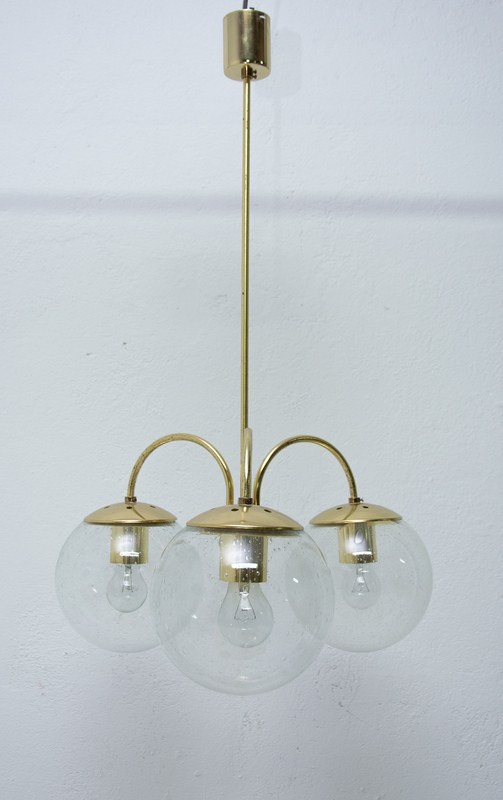 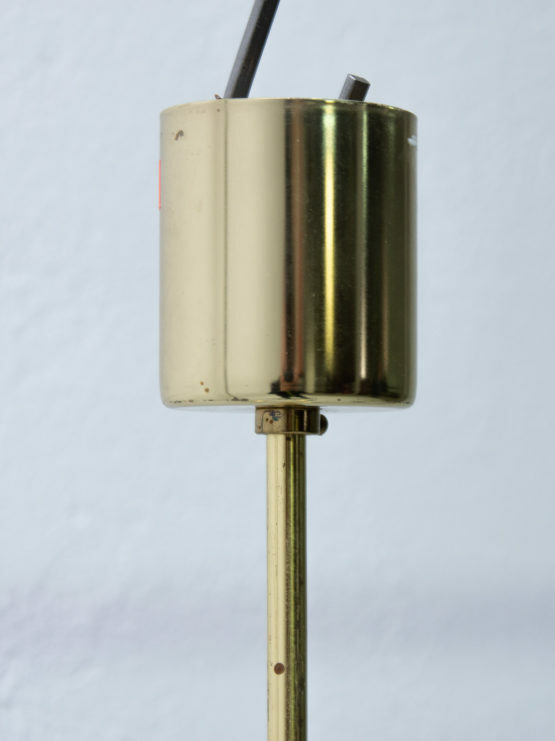 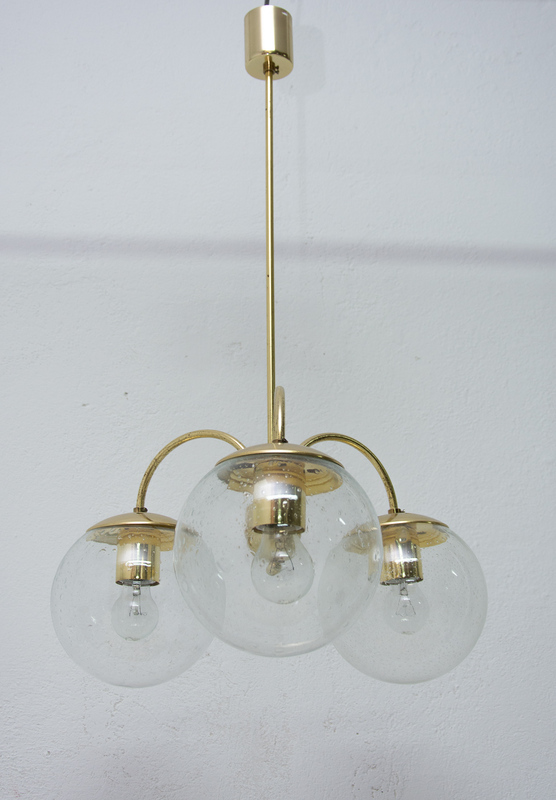 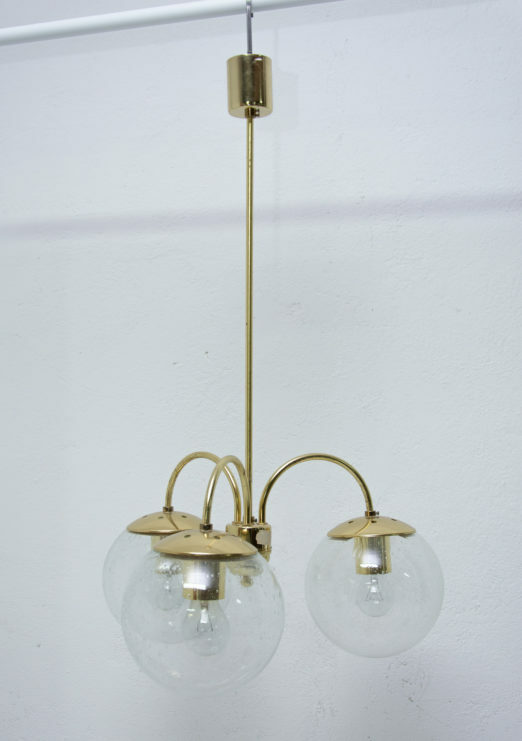 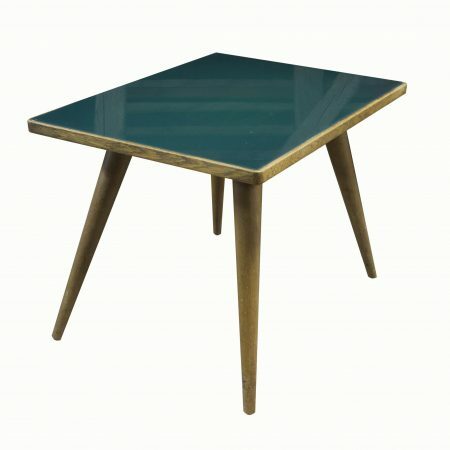 Czechoslovak glass chandelier with a brass structure, made in the former Czechoslovakia for Kamenický Šenov in the 1970´s. 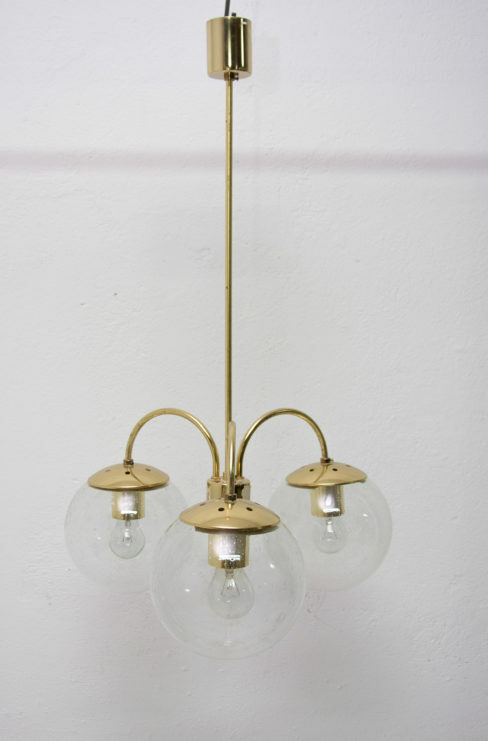 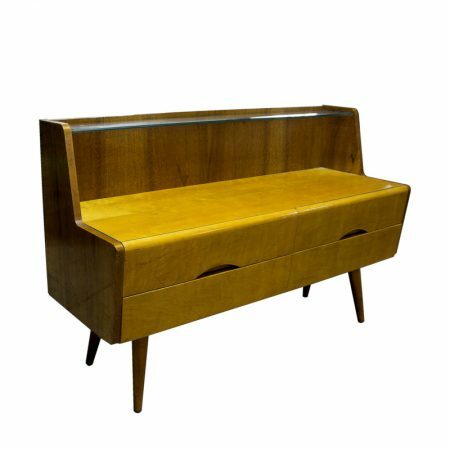 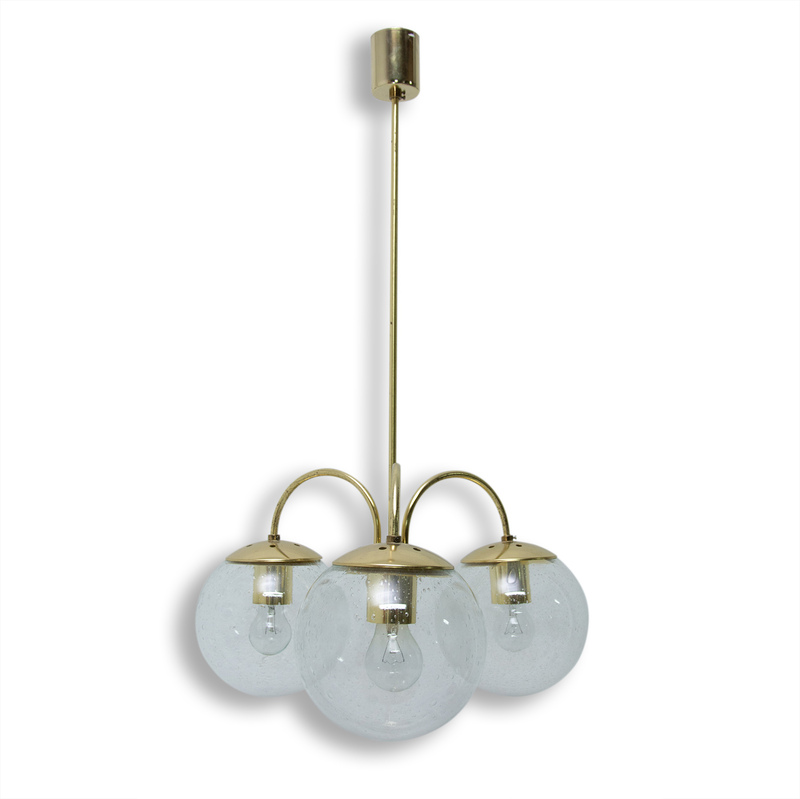 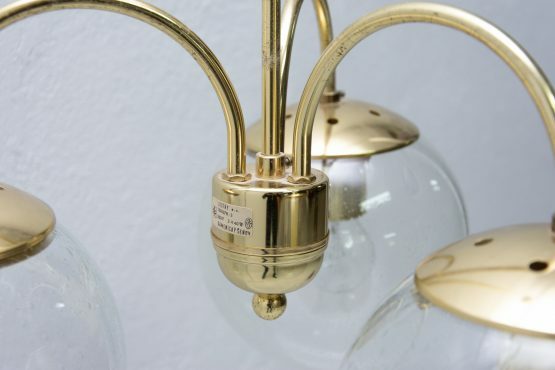 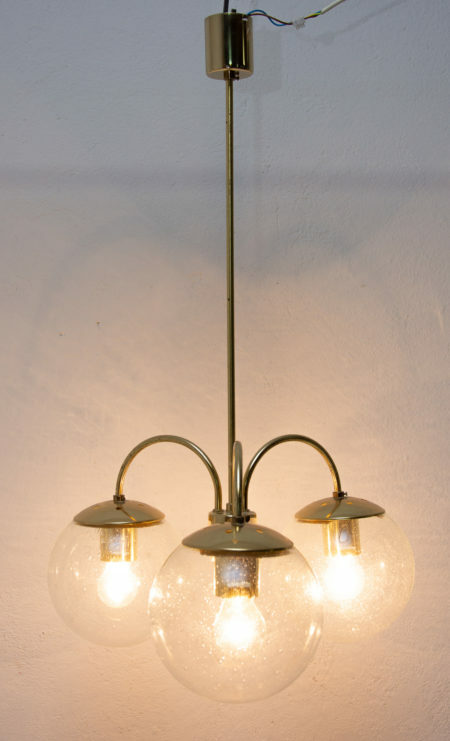 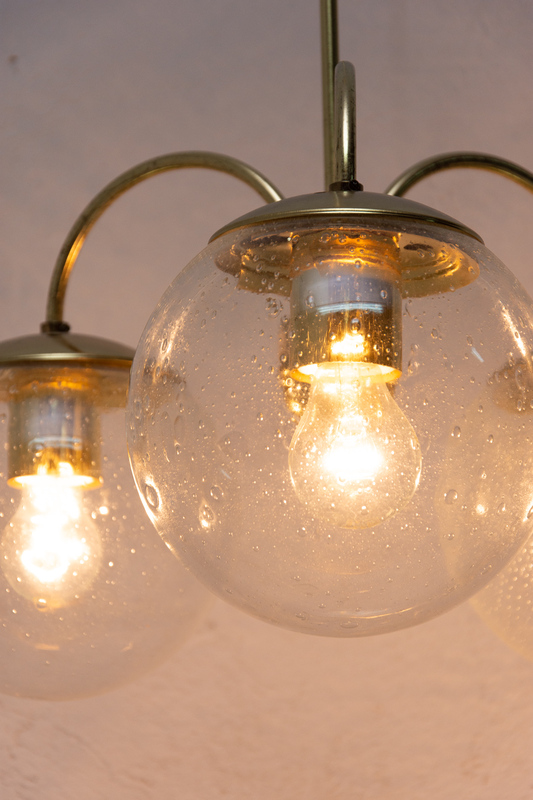 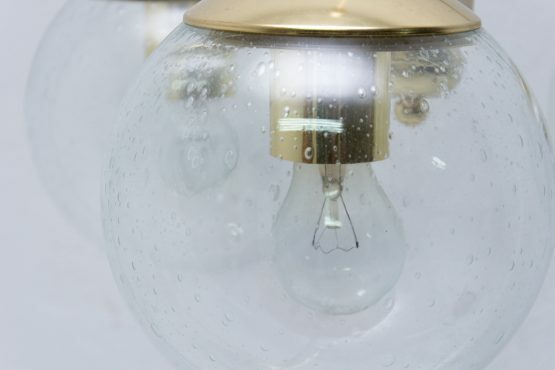 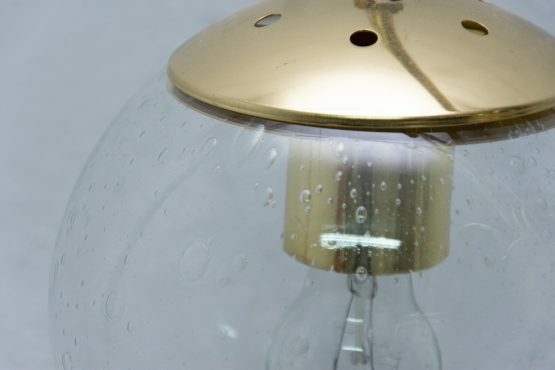 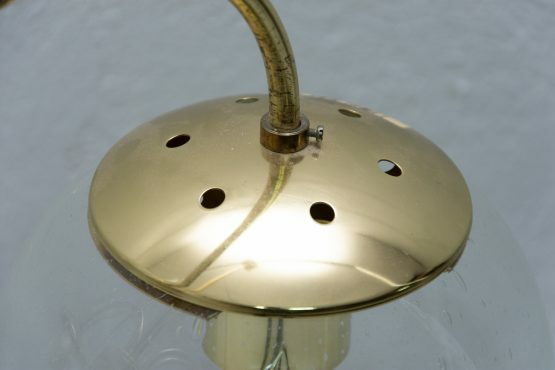 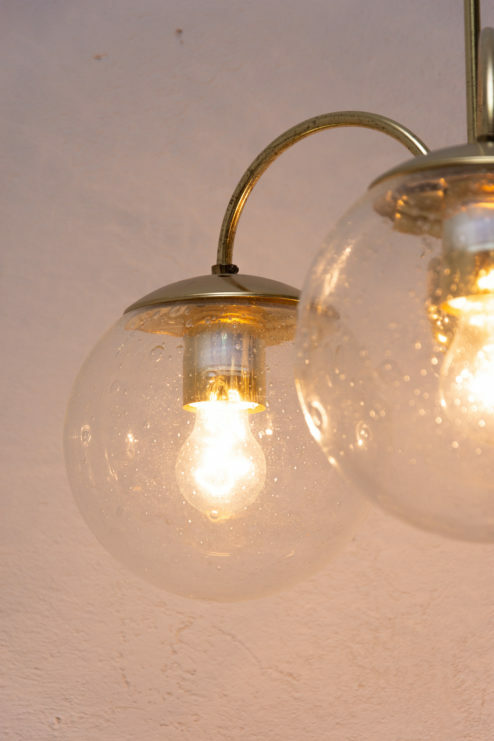 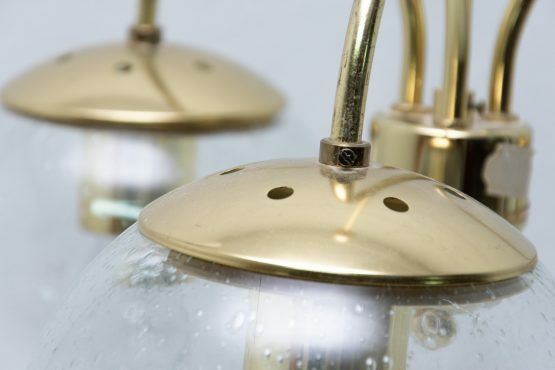 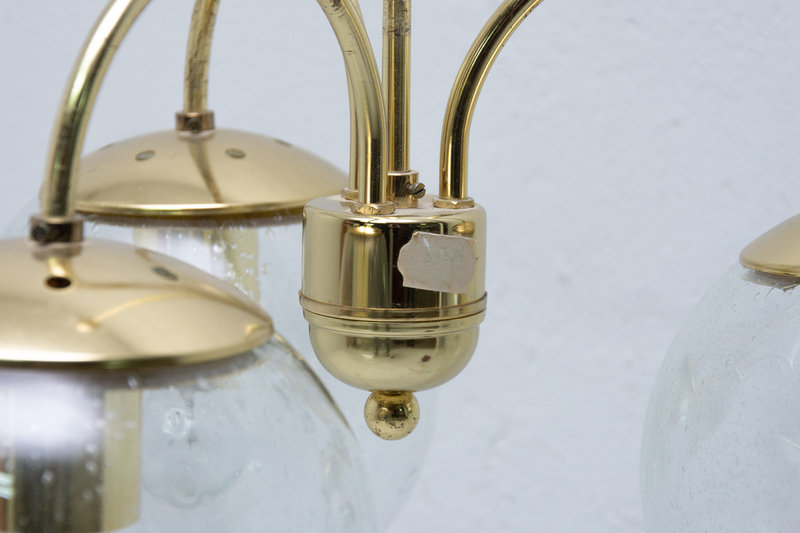 It features three-armed brass structure with three bubble glass lampshades. 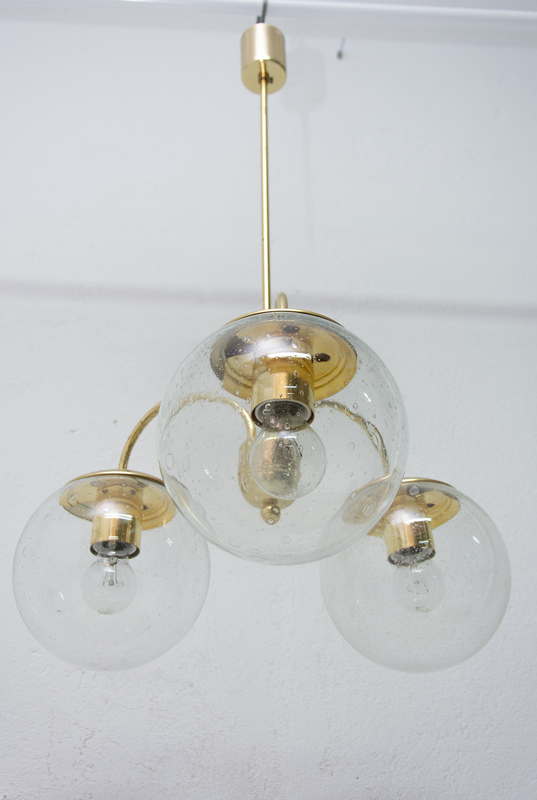 The pendant is in very good condition. 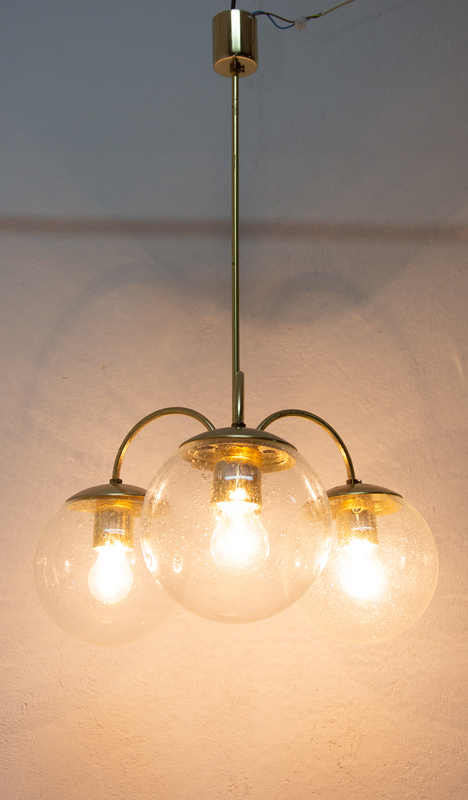 Newly wired.